Someone has uploaded to YouTube Jerome Callet’s video lessons, Master Superchops Disc 1. According to this thread in the Trumpet Herald Jerome Callet Forum Callet has decided to allow this video to remain up on YouTube (disc 2, which can be found here, provides more successful players than in disc 1). I’ve written about Callet’s unusual recommendations a bit in my article on the so-called “tongue controlled embouchure” before. I discuss my reservations on why I generally don’t recommend this technique over there and many players searching for some advice about the tongue controlled embouchure have made this post on of the most popular ones here. At the time that I wrote that post I had not seen this video but based my thoughts largely on what was more publicly available online and in books as well as with conversations with tongue controlled embouchure advocates. Keeping in mind that the tongue controlled embouchure is not unique to Callet and his students, after watching this video I haven’t changed my mind about this technique. If anything, watching Callet work with three different trumpet students has reinforced my opinion that this technique is generally not useful for the majority of trumpet players and I would typically discourage players from trying to incorporate these techniques in their own practice and performing. I’ll discuss some of my reservations below, but watch the video all the way through and make your own opinions. While you do so, let’s play “guess the embouchure type” with all the players in the video, starting with Callet and then going on to the three students in this video. My thoughts after the break. I was recently emails some questions from MS who wanted to know about finding a baritone horn teacher for a friend’s son. A friend asked me for a recommendation of a private baritone teacher for her 10yo son in our smallish college town. I’m a string player, so I feel pretty in the dark here — although my own 10yo son has been playing trombone for a year, which is why she asked me. I looked up baritone on the internet. My impression is that baritone is mainly used for marching band. Is that right? I don’t think I’m going to be able to convince them to switch instruments, because for some unknown reason, they own a baritone. But I’m curious. My first low brass instrument was the baritone horn. It is a cousin of the euphonium, the main difference between these two instruments is the shape of the bore. The baritone is similar to the trumpet and trombone in that it is a cylindrical bore instrument. This means that from about the leadpipe to the bell flare the instrument the size of the tubing remains more or less consistent. In contrast, the euphonium is like the tuba and horn in that the bore size gradually gets larger the further away from the leadpipe. While this does make for a difference in sound, the basic technique of the two instruments is very similar. The baritone horn is used in many marching bands and also is a typical instrument in British style brass bands. There is a marching version of the baritone that is designed so the bell points forward, like a trumpet, rather than up, like a tuba or euphonium. 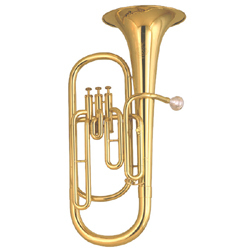 While most symphonic band literature typically calls for the euphonium rather than the baritone, baritones are sometimes asked for instead and many school bands use baritones instead as they tend to be a little cheaper to purchase and make for a little easier transition from trumpet to baritone. Baritone parts are very commonly notated in a Bb treble clef transposition like a tenor saxophone, again to facilitate a transition from trumpet to the baritone (although in British style brass bands almost all the parts are notated in Bb treble clef). So to get back around to your point, baritones aren’t just a marching instrument. If the bell points forward, the particular instrument is designed for marching, but if it points upward like the photo above it is meant to be a concert baritone horn. My main question is about finding a private teacher. I doubt we’re going to find someone whose main instrument is baritone. I think it’s going to be someone whose main instrument is either trombone or tuba. Is that right? And does it matter which? My own son’s first private trombone teacher was a tuba player who used his tuba in lessons for demonstrating and playing duets, but who was very familiar with trombone. That worked fine for my son, who was already advanced for his age with other instruments, and turned out to be a natural at the trombone, so I don’t know if having a teacher playing a different instrument in lessons would work so well for everyone. I know from my son’s reports of how the group lessons at school went last year that my friend’s son tends to progress at an average pace. In other words, my son found listening to my friend’s son frustrating, but not as frustrating as listening to a third child. So by average, I mean in the middle of a sample of !three children. You will probably not find a music teacher whose main instrument is the baritone horn, but you might be able to find someone who plays euphonium. This is the closest instrument and might be your best bet for private lessons. That said, an awful lot of trombonists and tubists double on euphonium or baritone and would be more than capable of starting a beginner on the baritone. Since the baritone is often used as a double for trumpet players (or, as in my case, to encourage trumpet students to try out low brass to balance school band instrumentation) a trumpet teacher should also be able to help start a beginner on baritone quite well. This isn’t so much different from a violin instructor who can also start violists, for example. While certain mechanics and literature of each instrument are unique, basic brass technique is the same for all instruments. My advice is that if you can’t find someone who is a euphonium player for private lessons would be to look first for a trombonist or tubist who teaches privately and then perhaps investigate trumpet teachers. More importantly than what instrument the teacher plays, however, is making sure that the teacher has experience at working with beginners or at least has an interest in teaching students at that level. You mention that you live in a college town, so I would imagine that the college’s music department, if it has one, would be a good place to start. If the college teachers there do not take on extra private students there may be a college student who is interested in teaching beginners and the professor may be able to recommend a music education major. The middle school and high school band directors would be another resource to check out. Again, they may not be taking on private students, but they often know who the music instructors in the area are and can recommend someone. Finally, your blog is very interesting reading, but it would be great if some day you could pull out some bits and pieces from your oeuvre that would help someone like me. What do I need, as a non-brass-playing musician parent of a brass player? Practical advice about technical and musical development, setting up fun activities for my child at home, help finding good play-along recordings, method books, repertoire books, duet books, etc. I found the article about buzzing helpful, but I have to read pages and pages of detailed text to find the nuggets that are helpful for our situation. Also the advice about young players needing to sing the difficult note first, in order to get it into his/her ear first — that’s great to read, but I’d like an easier way to find those sorts of tips, since I’m unlikely to make my way through your entire archive. Thanks for the kind words and excellent suggestions. My regular readers know already that I tend to focus my posts on things for either the music student or music teacher, but I do get frequently contacted by parents looking for information and advice on helping their children with music studies. I’ll give your suggestion some more thought and see about compiling something more specific for parents and posting it here soon. Anyone else have any thoughts for MS about finding a private instructor for baritone horn? Did I leave off anything important or would you like to correct something I wrote that is misleading? Feel free to leave your comments below. I recently completed yet another demo recording of one of my student jazz ensemble charts. Tyson Tunes Up was composed for the Owen Middle School Jazz Ensemble in Swannanoa, NC, directed by my friend Tyson Hamrick. This piece is a little more challenging than the other two student charts I’ve recently written, more suitable for an advanced middle school band or high school band. This composition is a bright rhythm changes chart with quotes sprinkled in from other well-known tunes that use the same chord progression. Give it a listen and see how many of them you can catch. As with my other two recent demo recordings, I created this sample using my home computer on the software GarageBand, with Justin Watt on the drums, Michael Gamble on bass, and Frank Southecorvo playing all the sax parts. I play all the brass parts and piano on this. If you like how this chart sounds and want it for your student group it will be made available for purchase on PDF Jazz Music. On a recent gig with the Low-Down Sires our music director had another job out of town and Mick, our cornet player, ended up taking over the direction duties for this show. While rehearsing for this show we got into a conversation about different hand signals that directors will give to keep the musicians together. Here is a list of ones, mostly compiled by Mick (mainly duplicated from here), but with a couple added by Mick and me. Some are pretty standard, but others were new to me. 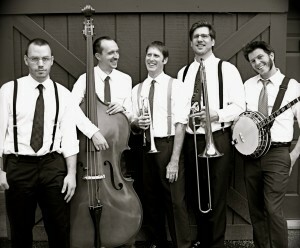 A few of them are a little more specific to the trad jazz style (such as the ones referring to “ensemble choruses”). Some of these are also used by big band directors as well, so even if you don’t play fake gigs they are worth learning about. The concert key of a song (or key change for the next chorus) is indicated by the number of fingers held out. The number of fingers held down indicates the number of flats in a key signature. Two fingers held down indicate Concert Bb. Concert C is usually indicated by making a zero or C with two fingers. * The sharp in Concert G would be indicated by extending up one finger. I don’t want one. If you don’t want to solo, just shake your head no. Take two. When two fingers are held up, that means to take two complete solo choruses. This occurs usually on fast tunes in which choruses are very short, so it gives the solo player a chance to stretch out. Half solos. The X sign, with crossed hands or crossed fingers means to split the solos in half and share them. In other words, instead of a 16-bar solo, you play 8 bars and pass it on to the next soloist. This happens often in large jam sets to allow everyone to have a short solo. Trade fours (or twos). When one player establishes eye contact with another player, holds up four fingers, and points them back and forth between the two players, it indicates, “Let’s trade four-bar solo phrases” or “Trade fours.” Of course, you can do the same thing with two fingers to indicate trading two bar phrases, although this is trickier to pull off. Everyone in. When the cornet player holds up one finger and moves it in a round-up circle, it means, “Everyone in, this is an ensemble chorus.” This is usually the sign to end solo choruses. Last chorus. A fist held up means “this is the last chorus.” Go out at the end. Go to the top. Touching an open palm to the top of the head means, “Go to the top,” which usually indicates going back to the verse, first stanza, or sometimes even introduction of the given tune. 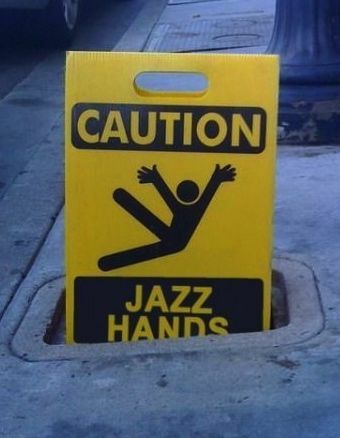 Get down. A flat hand held down at knee level indicates that the next chorus is going to be played in a restrained style, at a pianissimo level. This may also be called a “chatter” chorus. One down/one up. As a band is nearing the last ensemble choruses, the cornet may give a hand signal, pointing down with one finger, then up. That means to play a quiet and restrained chorus, followed by a loud and exuberant final chorus. Four bar drum break. When four fingers are held up to the drummer, usually in the final chorus of a tune, that indicates that the drummer is to take a four-bar extemporaneous solo, followed by the band playing a variation on the final four bars of the song. It is critical to listen to the cornet player to catch the shape of these last four. Jump to the bridge. The leader may point to the bridge of his nose. Done frequently on ballads or longer form tunes after solos to keep a tune from going too long. Sometimes used to help get the band back together if someone zones out and looses track of the form. Open repeats. The leader makes an “O” shape with one or both hands. Used to indicate that this section will repeat until cued out, usually to let a soloist or soloists stretch out and play additional choruses. The cue to go on to the next section is usually done by holding up a fist a bit before the next section. Play backgrounds or riffs behind a soloist. The leader points at and sort of waves his finger at a section or group of players to indicate that in the next repeat the players should play backgrounds behind the soloist. In a fake gig the leader or another horn player might quietly play or sing a riff to the rest of the players before they enter to get the riff established, if the backgrounds are improvised. * Several years ago I was playing a dance set with a big band where the leader wanted the band to improvise a medley of bossa novas. He got the band started off on a standard tune with one horn player performing the melody. After that melody the rhythm section was instructed to play a 4 measure transition to the next tune and the hand signals were used to tell them what key to transition to (e.g., two fingers held down to modulate to Bb, etc.). It got around to me and I called Black Orpheus/Carnaval/Day In the Life of a Fool (three different titles for same tune), which is typically played in A minor. I realized as I called the key that I didn’t know a hand signal for A minor. I tried to verbally get the word over to the leader and rhythm section, but because I was way over on the other side of the stage they ended up going to C major instead. Fortunately this rhythm section was on top of things and immediately recognized the tune, but it was an unusual modulation, to say the least. Who knows an appropriate hand signal for A minor? What hand signals did we leave out? Thanks for compiling those, Mick! Here’s the audio sample. Like I did with an earlier piece, this one is recorded with me playing all the brass parts and the piano, Frank Southecorvo on saxophones, Michael Gamble on bass, and Justin Watt on drums. I want to thank Frank, Michael, and Justin for taking the time to help me get these recordings made and playing so well on them. This chart will be published on PDF Jazz Music, so if you’re a middle school band director and want to get a copy of it check the above link and if it’s not available already it will be soon. Frequently in online conversations, and sometimes in person, a discussion about teaching instrumental technique to music students gets broken down into two extreme ends. The more popular, exemplified by Arnold Jacobs’ so-called “song and wind” approach, is that when a musical goal is kept first and foremost in mind that instrumental technique will fix itself. A second, more controversial approach is to teach the music student about the process of playing an instrument and consciously practice the motor skills needed for good instrumental technique. Scientists who study human performance call the former an “implicit” approach to learning a motor skill where as the later is known as an “explicit” approach. There has been a fair amount of published research investigating and comparing these two teaching methods. One of the most widely published authors on this topic is R.S.W. Masters. In a number of studies Masters (1992, 2000, 2009, 2011) tested subjects who were taught various skills (golf putting, for example) through implicit instructions (goal oriented) as opposed to explicit instructions (learning the “rules” on how to putt correctly). Such research, replicated with different tasks by others, suggests that when these two approaches are used exclusively that the implicit instructions provide better results. Implicit learners were also found to perform the task better when subjected to distracting stimuli or situations designed to provide a stressful situation. However, this research may be misleading and there may be some methodological flaws in Master’s research. For example, test subjects who were taught an explicit approach to learning a motor skill were generally presented with instructions all at once, as opposed to breaking down each step of the process into manageable chunks where each individual step is mastered before moving on to the next step. Other authors (Willingham and Dumas, 1997) found that a year after receiving implicit instruction on a task subjects performed no better than a control group that had no instruction at all, however some attempts to replicate this research has produced conflicting results. A further issue in interpreting this research is that most teachers and coaches don’t separate their instructions into such an false dichotomy between these two extreme approaches. Rather, most individuals employ a combination of implicit and explicit instruction. Researchers using transcranial magnetic stimulation to map brain regions demonstrated that implicit practice showed gradual activity in areas in the brain associated with explicit learning as well, until subjects achieved explicit knowledge of the task when brain activity returned to its base line (Pascual-Leone, et al., 1994). Similarly, Willingham and Goedert-Eschmann (1999) point out that while functional MRI studies indicate that motor skill development may be purely implicitly or explicitly developed, their experimental study showed that when presented with a random task, subjects in the explicit group demonstrated similar sequential knowledge to those in the implicit group. Other research suggests that a combination of implicit and explicit learning may make for the most effective method for motor skill development. Lola, Tzetzis, and Zetou (2012) conducted a study comparing four groups’ abilities to make important decisions while serving a volleyball. Their analysis showed that all groups improved over time, excepting the control group who simply performed the assessments. The implicit group outperformed the explicit group, however the group that was instructed through a combination of the two was faster and more accurate than both. Mazzoni and Wexler (2009) investigated a similar research question and also found that subjects who engaged in both implicit and explicit motor control during assessments performed without degradation compared to groups that used explicit or implicit control alone. One difficulty in interpreting this information for the music teacher is that most of the scientific literature on this topic deals with either an athletic skill or on some task designed to test the performance of motor skills (such as a random button pushing task). However, there has been some research conducted specifically looking at how music students learn instrumental technique best. Rosenthal (1984) conducted research looking at the effects modeling and verbal instructions had on expert musician’s abilities to perform a challenging passage. She found that the group given a model only outperformed groups given only verbal instructions, both a model and verbal instructions, or practice only. Rosenthal’s research would appear to support above mentioned studies that find implicit learning to be superior to explicit learning. However, Rosenthal’s results conflict with other research showing the combination of both may provide the better results than an implicit or explicit approach alone (Mazzoni and Wexler , 2009 and Lola, Tzetzis, & Zetou, 2011). Kennell (1989) devised an experiment that used a similar approach to Rosenthal’s yet found slightly different results. Using three different experimental treatments, his results suggested that the effectiveness of a teaching strategy may be related to the context of the situation. He hypothesized that instruction marking critical features would be best for reminding students of skills they have already learned, demonstration would be more beneficial for learning new concepts, and task manipulation best for building new skills (Kennell, 2002, p. 249). Making specific recommendations for music pedagogy based on the currently available research is challenging for a variety of reasons. The first issue that must be taken into account is that most of the available research explores either tasks associated with sports or tasks specifically designed to measure motor control. It is likely that the results of most of these studies will also apply to the motor skill development needed for musical technique, however the lack of research that specifically looks at musical skills makes it difficult to be certain that this is the case. Much of the research relied on visual stimulation, rather than aural stimulation, and it is possible that this change in feedback can alter the benefits or drawbacks to teaching strategies. While implicit learning has the consensus supporting its benefits over explicit learning, it should be noted that a lot of the recent publications have been done by a limited number of researchers, specifically Masters (8 publications cited in this paper) and Maxwell (5 cited publications). Additionally, replication of their research produced inconsistent results, in spite of later studies by Maxwell, et al. that attempt to correct for methodological issues and replicate their original work. Before these results can be accepted with widespread authority they will need to withstand more peer review and replication by other researchers. Other areas of caution in applying this research to music instruction involve the ability levels of test subjects, the length of retention, and the specific nature of improvement on a motor skill. The majority of research comparing implicit and explicit learning uses novices as test subjects, yet much music education deals with students who have been studying their instrument for years or even decades. Some of the literature indicates that the type of instruction most effective depends on the particular stage of development a subject is in (Pascual-Leone, et al., 1994 and Willingham & Goedert- Eschmann, 1999) or the specific task being practiced (Lagarde, et al., 2002 and Kennell, 1989). These findings imply that musical instruction related to motor skill development needs to take the student’s current stage of development into account, as well as the specific skill being learned. Very little research has been done investigating the longevity of motor skills beyond a single year, particularly in relation to expert performance. Wilson, and Roehmann (1992) do make note of research regarding injuries and disorders with expert musicians, such as focal task dystonia. Furthermore, it has been noted that issues such as embouchure dystonia typically manifest between the ages of 35 and 45 (Frucht, 2001 and Frucht, et al., 2009) Many individuals suffering from dystonic-like symptoms tend to be players who favor an implicit learning style (Kagarice, 2005). While implicit learning may show better short term effectiveness, prevention of injury or other related issues may be best done through the inclusion of explicit instruction in correct instrumental mechanics. In spite of the difficulties applying this research to music pedagogy, there are two statements that can be made with some confidence. First, it is clear that implicit learning strategies make for a powerful tool and music educators must be aware of how to make effective use of it. Instructing through analogies and goal-oriented processes are already widely used in music instruction and is exemplified through the “song and wind” approach advocated by Arnold Jacobs. Secondly, evidence suggests that implicit and explicit learning work in conjunction and parallel with each other, as suggested by Donald Reinhardt’s “Pivot System” approach. Music educators should become familiar with the situations where explicit instructions have the most potential benefit and learn how to use it effectively. This will not only ensure that students progress quickly and perform well under the pressure of a concert or audition situation, but can also have potential benefits for long term health and technique maintenance among professional musicians. Most Ed.D. and D.M.A. Candidates will never engage in experimental research; they will teach and perform and teach others to teach and perform. Because they are in a unique position to observe student performers at all levels of ability and all stages of life, they can make an enormous contribution to clinical research. . . Although not every teacher-performer would be inclined to take on such are arduous task, and fewer still might commit themselves to it for the long haul, some would – and the effort would make a difference. You can download the full paper I wrote on this topic, including complete references here. YouTube user ChokatinSheepseki initiated a conversation on the comments section for my video Brass Embouchures: A Guide For Teachers and Players. Because YouTube limits the number of characters in each comment there it makes it very difficult to have an intellectual discussion there and it’s very easy to leave an erroneous impression. In an effort to respond to some of his comments and to offer ChokatinSheepseki a chance to more clearly and directly criticize my ideas I thought I’d post some more lengthy responses here. I’m going to pull some of his comments out of context in order to address a single topic at a time (you can read our whole exchange here in order). You have it all backwards, and your anti-Jacobs stance simply makes you look all the more arrogant. You appear to be taking an anti-Jacobs position in a desperate attempt to gain notoriety. I was pretty surprised by the statement that I have an “anti-Jacobs stance.” I have offered some criticism to some specific ideas he has said about brass embouchures here, but I direct that criticism to specific ideas that I believe to be factually inaccurate. In fact, in that same article I mentioned how much Jacobs has influenced me as a teacher and player and acknowledged how effective his “song and wind” approach can be. I merely am arguing that there are other tools that are useful and good teachers and players need to grow beyond a single teacher/player’s approach – particularly as new information becomes available. A few years back you told me that you thought Jacobs was WRONG on many issues. Now you say that he had a profound influence on your teaching and practice. “One of the reasons that this is such a popular pedagogical method is because it’s very effective. Putting attention on the musical expression does have a tendency to work out the kinks in a player’s technique. Efficient breathing is also an extremely important part of good brass technique. That’s hardly downplaying the importance of breathing to brass playing. 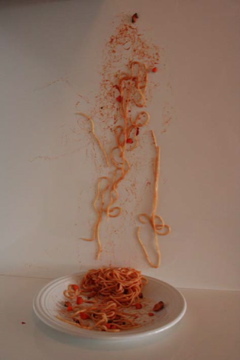 For the record, I did use a photo of spaghetti splattered on the wall as an illustration for Jacobs’ statement he always addressed an embouchure issue with assignments of music. I made the analogy that without a good understanding of embouchure form you can end up unconsciously trying out so many different things in an effort to make a correction that in the process of fixing one thing you might end up with other issues that need to be addressed later. ChokatinSheepseki appears to agree with that particular statement by Jacobs that assignments of music should be sufficient to address brass technique by itself. The CONCEPT of a good sound in the BRAIN puts the body in the position that it needs to be in. Of course, you can try to consciously manipulate muscle groups and produce sounds, but such commands mean that the focus will not be on the music. This is an interesting idea and one that we can have an honest discussion about. With regards to whether the body and brain will simply figure itself out when the attention is placed on music, there has been some research done on the difference between learning complex motor skills through intrinsic methods (goal oriented, e.g., pay attention to the music) and explicit methods (process oriented, consciously manipulate the motions you need to play). Having done some academic reading to learn more about his, I learned that when one is used exclusively, research indicates that the intrinsic approach is superior. However, research where subjects used a combination of the two approaches showed even better long-term results (this topic deserves a post of its own later that focuses exclusively on this research). This is one of my criticisms of how many have interpreted Jacobs’ teaching into such a false dichotomy. If you listen to his masterclasses or read the books about his teaching very carefully you’ll note that one of his psychological tricks was to convince his students that he wasn’t telling them how to play while he was teaching them how to play. Case in point, here is an excerpt from Arnold Jacobs: Song and Wind, written by Brian Frederiksen and edited by John Taylor. The bold text below is my emphasis to address my point. A common problem is that of a double buzz, or as Jacobs calls it, “segmentation.” This happens when the embouchure is set for vibrations higher than what is actually desired. A major factor is insufficient air to fuel the vibration. It is, in fact, hardly ever an embouchure problem. The tongue’s position is too high and forward in the mouth. To correct segmentation, adjust the embouchure to vibrate at the pitch that is desired – play with a thicker air stream and keep the embouchure open. In other words, address the physical causes of the double buzz not through assignments of music, but by correcting the specific mechanical issues that lead to the double buzz. This is contradictory to Jacobs’ other statements that he addresses embouchure issues only through assignments of music. My feeling here is that when dealing with brass technique we can spend some time dealing with the mechanics of how to play, provided that we also keep the end goal of making good music in mind and be sure to spend practice and teaching time addressing that as well. Again, because ChokatinSheepseki and others frequently misinterpret my thoughts here, I’m not suggesting that focus on music and breathing are bad for your brass playing. They are extremely useful tools when the situation warrants. However, there are other approaches that when used at the correct time and place can also be helpful. There’s no need to use one exclusively over the other. While ChokatinSheepseki “politely” refused my offer to move our discussion over here where the comments aren’t restricted to such a short length, I hope that he will reconsider and take the time to point out the specific parts where we have disagreements. Contrary to the implications in his criticisms, I do not have an “anti-Jacobs” stance. Furthermore, I’m perfectly willing to change my opinions if presented with good evidence and logical arguments that point out flaws in my presentations. I’ll close this post by letting ChokatinSheepseki have the final word for now. Actually, I sent you a G-rated version of my original comment. I’ll let you get back to more important tasks, such as analyzing embouchures to see if they go north, south, east, or west, and pinpointing the exact number of coffee beans Beethoven preferred in his morning brew. Traditional jazz, like every musical genre, has its own set of patterns that help distinguish it from other styles of jazz. Getting into the chord changes of traditional jazz tunes shows that there are common patterns that a lot of this music starts with. Ivan, from Playing Traditional Jazz, identifies fifteen of them. Becoming familiar with these patterns will not only help you memorize tunes more easily but also help you improvise over these changes as you develop strategies for blowing over similar changes in the context of new tunes and different keys. Definition: Tune begins on the tonic (usually two bars) and then moves on to the 7th (also two bars), meaning that in the Key of F the first chord would be F major and the next E major (or E7th). Definition: The tune begins (usually two bars) on the chord of the 6th note in the scale (e.g., a tune in the key of G starting on the chord of E or E7th). This is normally followed by the chord on the 2nd note of the scale, and then on the 5th note of the scale, thus continuing the ‘circle of fifths’. Definition: The tune starts on the tonic, proceeding to the chord of the 3rd and then on to the 6th. So in the key of C, this would mean C major, followed by E7th and then A7th (sometimes A minor). Definition: Begins on the Dominant 7th, with the Tonic as the next chord. (Often this pattern is then repeated before further developments.) To put it simply, if you’re in the key of C, you begin these tunes on G7th (usually two bars) and then move on to C.
Definition: Begins on the tonic. This is followed by the 6th flat major, then tonic again, and then 6th. So in the key of C this would be: C – Ab – C – A. Definition: The tune starts on the Tonic, then moves to the Tonic 7th; then the chord of the 4th note in the scale; and then the 4th minor (or sometimes dininished). So, in the Key of C, this would mean: C : C7 : F : Fm . Definition: The tune starts on the Tonic chord and then follows this with the commonest chord progression of all – known to musicians as 2 – 5 – 1. So a tune beginning on the chord of C major, for example, would progress on to D major (the chord of the second note of the scale), followed by the chord of G7th (the dominant seventh – the fifth note of the scale) before returning to C major. A very satisfying 8-bar musical phrase can be built on two bars each of these four chords. Definition: The tune starts on the chord of the Tonic and then follows this with the minor chord on the third note of the scale. Notes: Everybody knows When the Saints. Its progression is instantly recognisable and fairly simple. But, as far as I know, it has not been widely used. Definition: Starts with (what could be easier?) six bars on the Tonic chord. Then briefly the Dominant 7th. Then it uses the Magnolia progression (see above). Definition: Start on the chord of the Tonic; then move on to the chord of the 4th note of the scale; and then back to the Tonic. So in the key of C, the first three chords would be C – F – C.
Definition: Begin with 4 bars on the Dominant 7th and then 4 bars on the sixth note of the scale. To put it simply, if you play the tune in the key of G, the first 4 bars will be on D7th and the next 4 on E7th. Definition: First six bars on the Tonic, next eight on the Dominant 7th. Next two on the Tonic. Start second sixteen on the Tonic, etc. End 4 – 4 minor – 1 – 6 seventh – 2 seventh – 5 seventh – 1 – 1. The tunes listed below do not all stick to it 100%, but they do so as nearly as makes little difference. Subtle variations within that pattern are encouraged. Definition: Much of the tune (sometimes just the first part) is in a minor key. For more information about these common chord changes, including extensive lists of tunes that use them, check out Traditional Jazz Chord Progressions. Special thanks to Mick, cornetist with the Low-Down Sires, for finding this excellent resource. I’ve got some public gigs this weekend that I’d like to invite you to come out to, if you’re in the area. If you do make it out to one of these be sure to say hello to me! This Friday night, August 16, 2013, I’ll be playing with and directing the Asheville Jazz Orchestra for our monthly show at the White Horse Black Mountain. If you’re near Black Mountain, NC that night, please come on out and listen to some live big band jazz starting at 8 PM. We’ll be performing a wide range of big band charts, ranging from the classic Swing Era tunes from both hot bands and dance bands all the way up to original music by myself and other AJO players. This show is exciting because we’ll have Adam Dotson from the band Rubblebucket subbing in the trombone section. Adam’s dad, Woody Dotson, is one of our regular trumpet players. I’m thinking of calling up one of my original charts, Haywood Bluff, that features trumpet and trombone in a duet to put this father and son team to work. 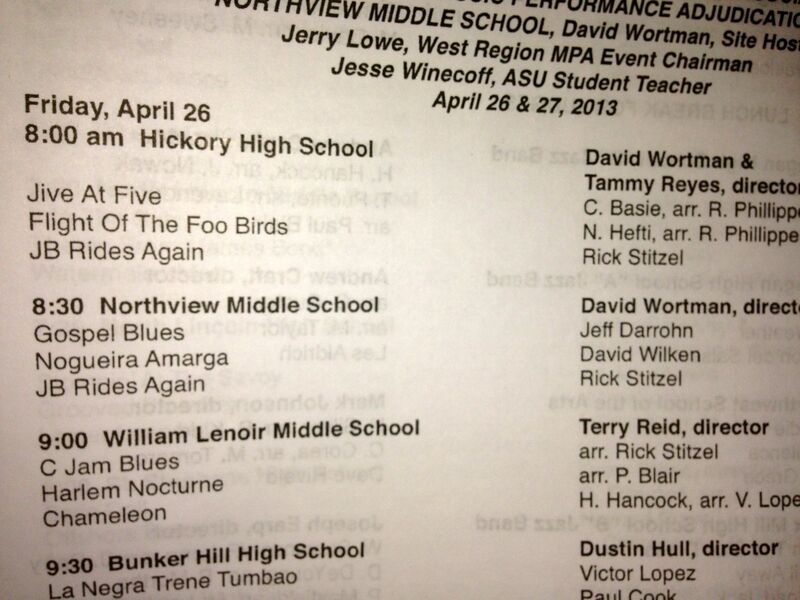 The next day, Saturday August 17, 2013, I’m going to be out at the Lake Norman Big Band kickoff clinic. This band is comprised of community players from a wide range of professions. I’ll be working with their trombone section in the morning and in the afternoon get to spend a little time with the full ensemble before their late afternoon performance for family and friends at Williamson’s Chapel UMC. The performance starts at 4:00 PM so if you’re familiar with this group and want to hear an informal performance stop on by. I got to work with them last year and had a gas. Even though most are not professional musicians they are a talented and hard working group dedicated to the big band tradition. Right afterwards on Saturday I’ll be rushing to the Purple Onion in Saluda, NC to play some dixieland jazz with the Low-Down Sires. I’ve never played at the Purple Onion before, but their menu looks fantastic and I imagine the food will be quite tasty. If you’re in the area this Saturday looking for good food and hot jazz, this is the place to go. We start at 8 PM and play until 10. Developing embouchure control requires a certain degree of embouchure strength. 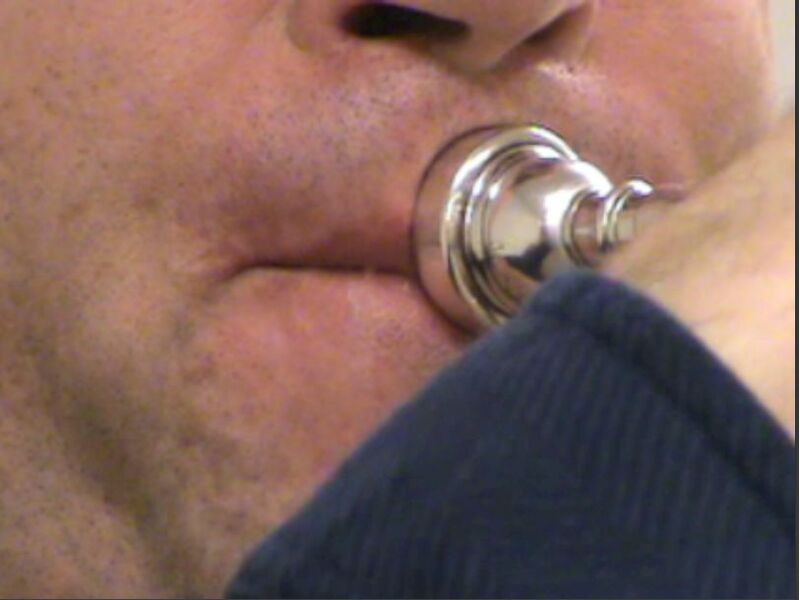 Having strong embouchure muscles allows the brass musician to focus the muscular effort in the correct place, develop a more effortless feeling while playing, and tolerate mouthpiece pressure better without risking injury. The orbicularis oris is one muscle group used in playing a brass instrument. It is used to pucker the lips and close the mouth. It encompasses the entire lips, including the vermillion and runs from just under the nose to down just above the chin. Here is a video I recently came across where “Bahb” Civiletti (I’ve discussed Cviiletti before in my discussion about the tongue controlled embouchure, a technique I generally discourage) discusses a Facial-Flex device that is designed to strengthen the orbicular oris. Best as I can tell, this device can be used as an “away from the horn” exercise to strengthen the orbicular oris, but I think a good question to consider here is whether or not this particular exercise is a good thing for brass players to practice. For the record, I am an advocate of using exercises to build strength in the embouchure muscles. Things like free buzzing, the pencil trick exercise, the jaw retention drill, and the P.E.T.E. can all be used effectively. When done correctly (and doing them correctly is the key) they can be analogous to weight lifting for your chops. They allow you to build muscular strength in a particular set of muscles without risking injury that can result from lots of heavy playing. When done incorrectly, however, they can end up developing the wrong muscles or train the player to use the muscles incorrectly that might potentially work against the player. In the case of the device that Civilitti is promoting above, I suspect that it may do more harm than good to a brass player’s embouchure. 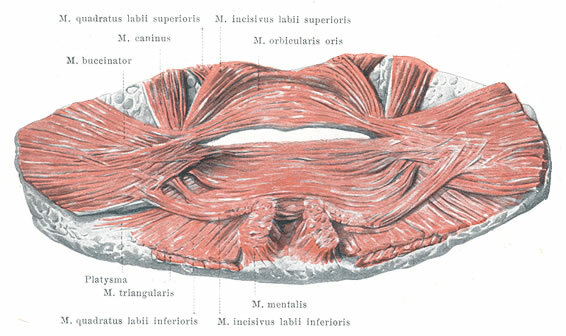 It is definitely true that the orbicularis oris is a muscle group used for playing a brass instrument. Dr. Matthias Bertsch and Dr. Thomas Maca studied the muscles used by trumpet players using infared thermography and compared the muscles used by experienced players to inexperienced players. The analysis demonstrates that the main facial muscle activity during warm up is restricted to only a few muscle groups (M.orbicularis oris, M.depresor anguli oris). The “trumpeter’s muscle” (M.buccinator) proved to be of minor importance. However, I take issue with Civilitti’s presentation of photographs of a handful of trumpet player’s as “evidence” for how important this muscle is for a brass embouchure. Here are photographs of two trumpet players, one students and one professional player. Compare how their muscles look to the photos Civilitti presents. The bottom player is the professional trumpet player playing a high C while the top is the student playing the same pitch (and struggling). Can you tell by the photographs alone how much the orbicularis oris is engaged and whether or not one player is using more or less effort than the other? I’m not certain looking at photographs of great players (out of context, no less) will be an accurate measurement of what muscles are used and to what extent. In contrast, take a look at this photograph of a professional player from Bertsch and Maca’s paper. Note the areas where more muscular activity has occurred (redder). With this particular player the orbicular oris is shown to be engaged, but largely focused in the lower lip with this particular player, not so much the top lip (as Civiletti points out in his video). Now I would caution everyone from drawing any conclusions from these small number of examples, but it does suggest that perhaps the orbicular oris isn’t engaged quite in the same manner that Civiletti feels, at least not with all players. 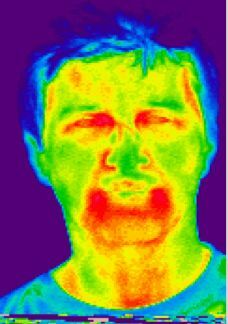 Note also in the above thermographic photo that the muscles at and just under the mouth corners are shown to be an area of much muscular effort with this player. This is the area where I believe the bulk of your embouchure effort should come from, not the orbicularis oris. When brass players are able to develop the strength to lock their mouth corners in place and use that area instead of relying on a pucker or smile to ascend the playing is generally stronger. The Facial-Flex device Civiletti demonstrates strengthens the orbicular oris in such a way as to move the mouth corners inward as with a pucker formation, rather than locking them in place. All that said, I suppose there may be certain situations where the device Civiletti is demonstrating might be useful. Many players will bring their mouth corners back as if smiling to ascend and for these players it might actually be helpful to train their mouth corners to come inward instead. I suspect, however, that this might be best done in moderation and once the player gets a more proper embouchure formation happening it would likely be better to avoid using the Facial-Flex device altogether. My preference is to use free buzzing as an exercise to help players with the smile embouchure as it not only strengthens to correct muscles but also trains the player to keep the mouth corners in their most efficient place. In summary, I personally feel that the use of the Facial-Flex device is probably not very helpful for brass players, and possibly even counterproductive. There are other exercises that target the embouchure muscles in a better way with less risk of allowing the mouth corners to slip into a position that tends to work against good brass playing. Do you have a different opinion? Have you experimented with the Facial-Flex device yourself and found it useful or did it work against your playing? Leave your comments below and let us know what you think.